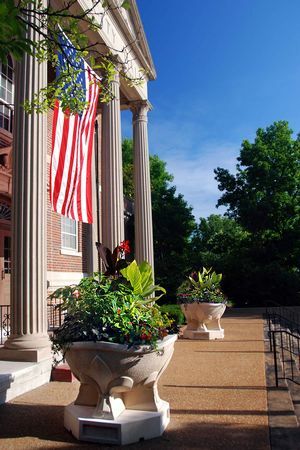 St. Louis Planters were placed at the east entrance of Kirkwood City Hall as a signature project to celebrate Kirkwood's 2007 entry in the America in Bloom national community enhancement competition. The planters were sponsored by the Kirkwood Rotary Club as a gift to the city and by Bill Ruppert as a memorial tribute to his parents, William C. and Francelia A. Ruppert. The planters are embellished each year with seasonal color plantings donated by Bill Ruppert and Buckley Growers Illinois.